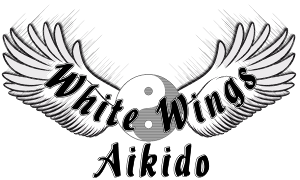 Aikido was founded by Morihei Ueshiba Sensei in the mid 1930's. He is known as ŌSensei, or great teacher. He had mastered several martial arts in his youth and had a very strong spiritual side as well. After vigorous training with a boken (wooden sword), ŌSensei had a realization that his martial art was not about fighting and winning, but that it was about love and harmony. Thus, Aikido was born. Kisshomaru Ueshiba Sensei, Second Doshu Kisshomaru Ueshiba Sensei, the son of ŌSensei, was born in 1922. From early youth, he trained under the guidance of his father. He was instrumental in leading and organizing what would become the Aikido World headquarters. 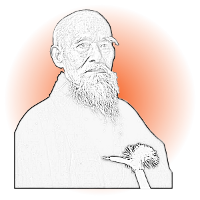 Upon the death of ŌSensei in 1969, Kisshomaru Ueshiba Sensei was named the second Doshu of Aikido. He was responsible for spreading Aikido all over the world. He passed away in 1999 in Tokyo. His legacy is having people all over the world training in Aikido and following the teachings of his father ŌSensei. Moriteru Ueshiba Sensei, Third Doshu Moriteru Ueshiba Sensei is the son of Kisshomaru Ueshiba Sensei and the grandson of ŌSensei. He was named the third Doshu shortly after his father's death. He is continuing the Aikido legacy and has given seminars all over the world to promote Aikido.